What a privelege to be amongst these wonderful creatures. Great shot! Superb shot, I love these creatures, thank you for this wonderful picture! 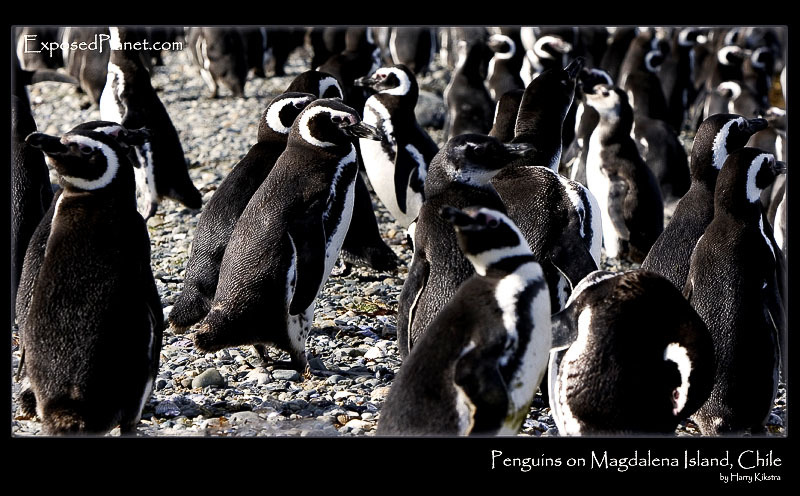 The story behind "Magellan Penguins on Magdalena Island, Chile"
Climbing the 7 summits is not just interesting because of all the high mountains you climb. The culture and nature surrounding the peaks on the 7 continents are just as important for me. When climbing Mt Vinson in/on Antarctica, you will spend time in Punta Arenas, Chile. There is nothing much to do in the town besides eating great King crab and buying last minute groceries for the climb, but a nice day trip can be taken to Magdalena Island. A wonderful place, just a large rock sticking out of the Straits of Magellan. Almost bare, except for grass, a lighthouse and many tens of thousands of Magellan Penguins. There is a track you can follow, so you do not disturb the animals of which many are nursing chicks.